Fulshaw ladies do it again. There were so many items and gifts donated at the November AM including beauty products for women’s refuges across the North West to offer women the gift of self-care this festive season, 26 boxes full to the brim plus lots of extras for the homeless. Donations were made to Street Angels, Manchester (manchesterstreetangels.com) and the Salvation Army. A massive thanks to Corinne and Jeanie for coordinating these initiatives. Fulshaw, Cale Green and Mottram St Andrew are all local WIs that are supporting The Toy Appeal this year. Wendy delivered a car load of toys on Saturday 17th November that had been donated by the wonderful ladies of Fulshaw. Once delivered, she helped write and sort over 3,600 labels in preparation for toy sacks being filled on the 10th December. Thanks to everyone who has donated and to those that are going to help on the 10th. ..........and another boot full of toys for The Toy Appeal collected at Monday's Annual Meeting. Toys included a full mermaids outfit, a unicorn hobby horse as well as a wonderful array of games and crafts. - and finally lots of donations for our Christmas hampers for our Christmas party. A massive thank you ladies, it really makes your heart sing. 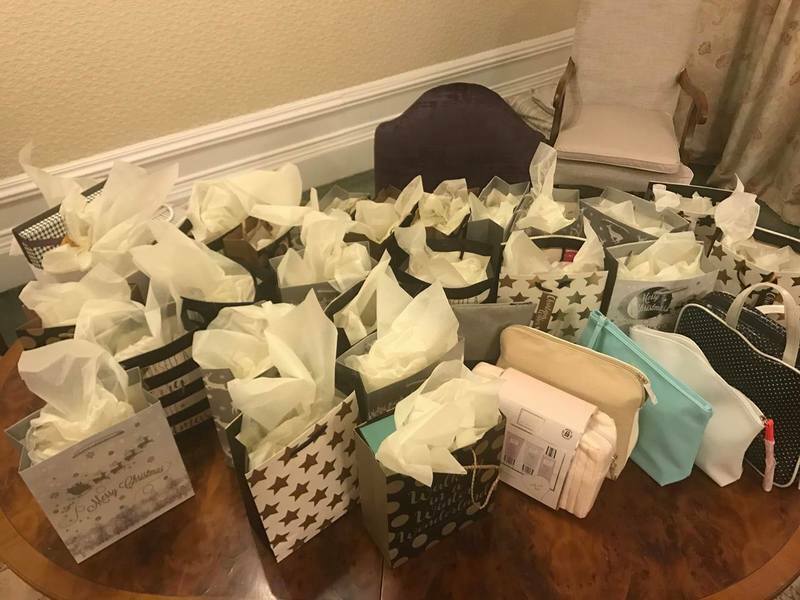 As many of you are aware, Esther McVey came and gave an informative, yet humorous account about women in politics to a large group of ladies from 11 WIs plus other female friends and family earlier this year. Esther did not charge us for her time and this, together with the raffle, helped us raise £350 profit during the evening which was donated to Stockport Without Abuse. We are delighted to report that another six large bags of bottle tops were collected at the May and June meetings for the Air Ambulance. This is truly remarkable and very much appreciated by everyone concerned. Please carry on collecting!! It was wonder to hear Lynne Stubbings at the Annual Meeting in June acknowledge what an inspirational job the WIs of Greater Manchester did in preparing, repairing and washing the teddies from the Manchester Arena bombing memorial. It was our pleasure to help. Thanks also go to the 2 ladies from Fulshaw who, along with other ladies from WIs across Greater Manchester, helped out with the Tree of Hope trail which was set up to mark the first anniversary of the Manchester Arena attack. 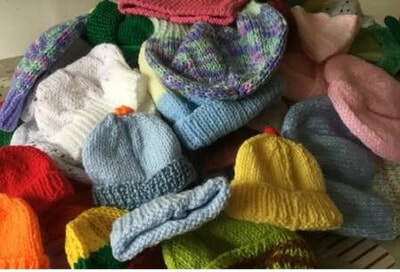 A staggering 74 hats were brought to the April meeting and a further 91 to the May meeting that our ever industrious ladies had been busy knitting. 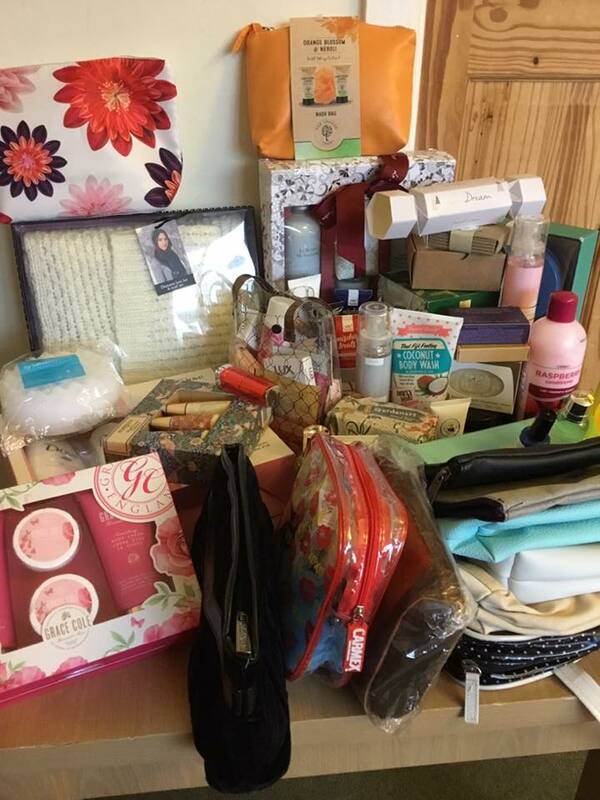 They have all be donated to the Maternity Department at Stepping Hill Hospital who we know are extremely grateful. Fulshaw ladies have done us proud again with their fantastic collecting skills! Five large bags of bottle tops were donated to the Air Ambulance at the end of March and almost 2/3rds of them had come from Fulshaw, collected at the February and March meetings. 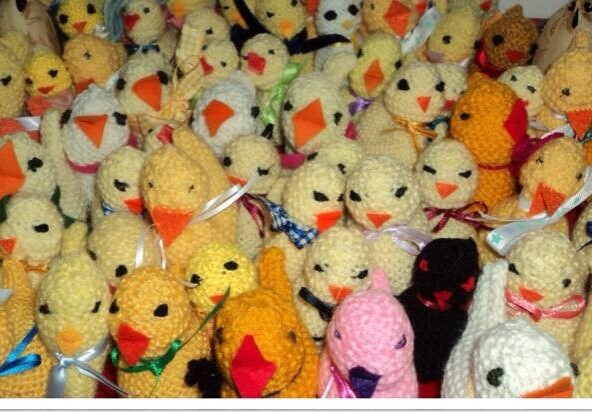 Please keep on collecting and remember, any colour will do, they don't have to be green! At the end of January 2018, the first delivery of Drain Bags was made to Macclesfield Hospital. They were very appreciative of our efforts and explained the importance of providing a new bag to every patient. Thanks to Dee for coordinating this worthwhile project. 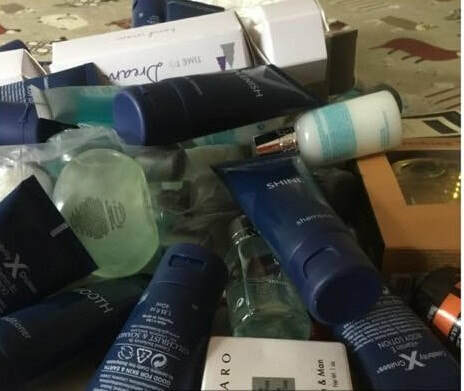 We have been busy collecting unwanted hotel toiletries such as shampoos, shower gels, toothpastes and toothbrushes and 3 full bags were collected at our October Meeting. 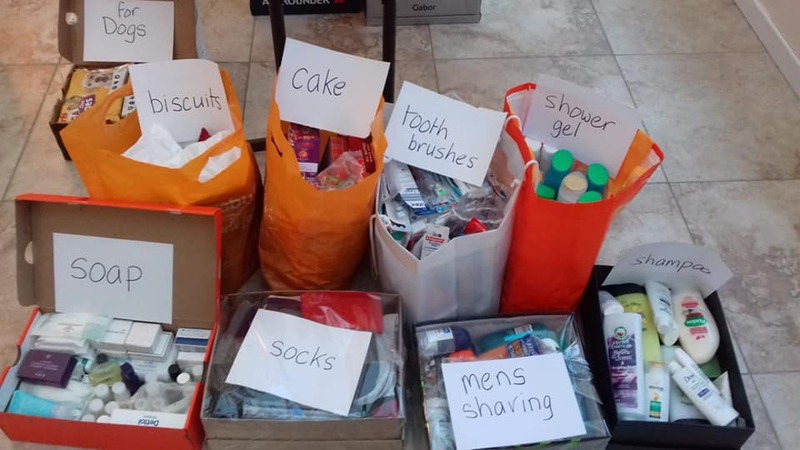 These have now been donated to The Wellspring Project, a resource centre for the homeless and disadvantaged, and they will distribute them to the homeless in Stockport. The next initiative, to Celebrate National Sock Day on the 6th December, will be to collect unwanted, new socks for Wellspring so please bring any contributions you may have to the November meeting. As we did last year, we asked our members to donate toys for the Lalley Toy Appeal for Christmas at our October Meeting and as last year, they did not disappoint! Wendy and her boys delivered the huge amount of toys that had been collected and these will all be packed up and delivered out to at least 4,000 children in the Manchester and Cheshire areas. Many of our ladies have also promised to help out with the bagging in December and we know that Dee Drake who heads up the Appeal, is very grateful for all our efforts. At our October Meeting, Dee asked members if they would sew some material breast bags to carry the drip bottle for women after major breast surgery. Wendy said that she could provide a pattern and that strong material will be needed to make them. Dee said that she will donate the finished bags to the Macmillan Department at Macclesfield Hospital and we are delighted to report that over 40 bags have been made so far. At our October meeting, our ladies brought hundreds of buttons which weighed in at 2,363g to donate to the Holocaust Project in Windermere. The buttons are being collected by The Lakes School in Windermere and they are hoping to collect a massive 1.5 million buttons to create a memorial with the thought that each button, of differing size and colour, will represent a victim. The weekly In Together dementia café first opened it's doors in January 2017 at Wilmslow Methodist Church Hall as a result of the work of Wilmslow Churches Together, Fulshaw and Row of Trees WIs, with our own Donna Johnstone being one of the main contributors. The café now opens every Monday afternoon and drinks and cakes as well activities, talks and entertainment are always on offer. It is a great service for those suffering from dementia as well as for their carers. 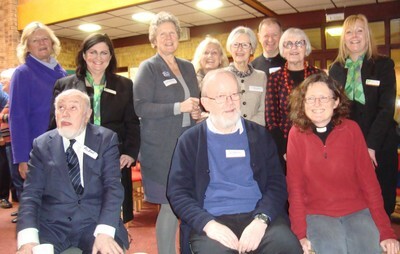 The first photo was taken at the opening of the cafe and includes Row of Trees WI personnel as well as Amanda, Grace Brierley and Wendy Taylor at the back. 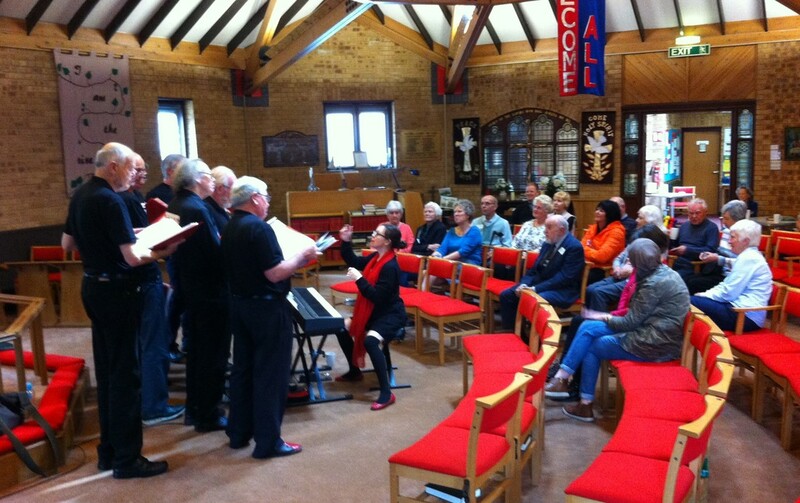 The second is a group called 'Hullabaloo' who came to sing at the Dementia Café and if you look carefully, Amanda and others can be spotted in the audience. At the request of Glenda Godber, we have been collecting 4 pint semi-skimmed milk green bottle tops. 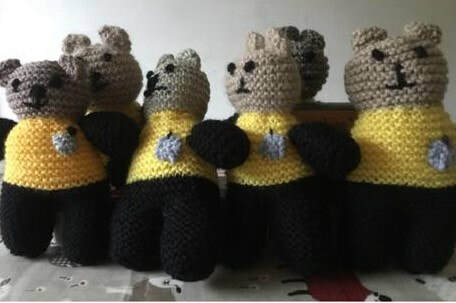 These are then passed onto the Air Ambulance who are able to sell them and then subsequently the bottles tops are recycled to make more bottle tops or used to make childrens toys. Please keep collecting your own and don't forget to ask when you're out and about in coffee shops or picking up your free coffee at Waitrose! At each of our Monthly Meetings recently, we have had a basket out to collect pennies and any other loose change that our ladies want to donate to the ACWW (Association of Country Women of the World) known as Pennies for Friendship. So far this year, we have collected £54.01 which was handed over to Jean Harding at our Annual Meeting in November. Another successful 'Souperday' took place on Saturday 4th March 2017 which raised over £1,300 for the Wilmslow Wells for Africa Appeal. Fulshaw ladies contributed towards raising this fantastic sum by donating a huge number of home baked cakes which were sold on the day by 3rd Wilmslow Brownies. The standard and quantity of cakes donated was overwhelming and everyone's generosity was very much appreciated by the organisers. 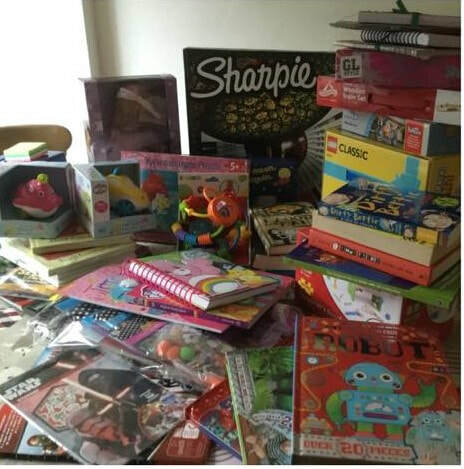 Following an appeal at our September Meeting by Dee Drake, members generously brought a huge amount of new toys to the October meeting which were very gratefully received. On Monday 12th December seven of our ladies went to help pack toys into sacks for distribution to disadvantaged children in the Manchester and Cheshire area. The target for the day was to sort 15,500 toys into1,833 sacks and a total of153 volunteers worked very hard to ensure this goal was achieved. It was a GOLD award again for Wilmslow in Bloom! Announced on Friday 28th October at Southport. Thank you to all the members who have helped to look after the Centenary garden this year and helped to secure this award for the third year running. A rota has been set up to look after our garden which means that the responsibility for looking after the plot can be shared amongst lots of members. Please contact Jennie to add your name - we will try to work in pairs (much more fun) - every two weeks in the Spring and weekly in the Summer. The garden is low maintenance so it shouldn't be too onerous. Fulshaw WI were asked to bake cakes for the Wilmslow Wells For Africa Souperday held on Saturday 12th March 2016. As usual, the ladies of Fulshaw WI surpassed themselves both with their generosity and their talent. 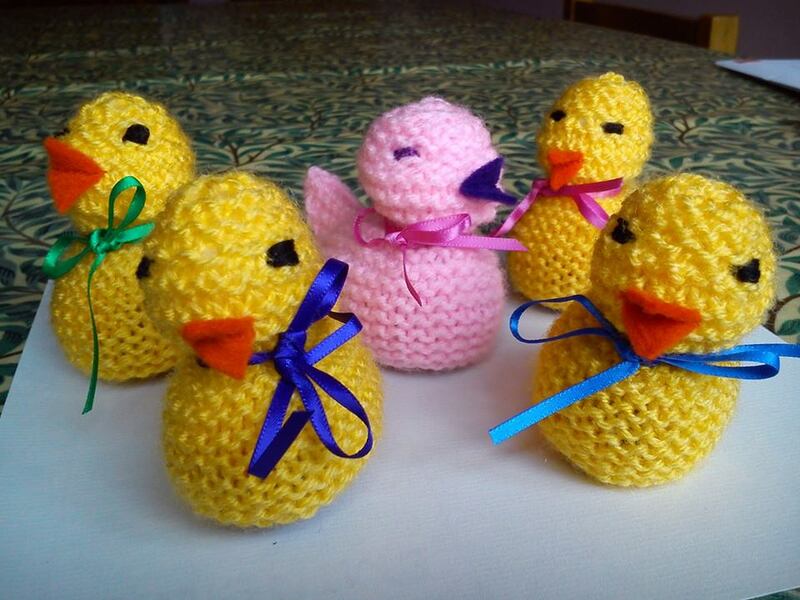 Many of our members have been busy knitting recently as we were asked by Francis House to knit Easter Chicks to fit over crème eggs for their Easter Fundraiser. We were also asked to either knit or crochet breasts to be taken out to South Africa to help teach about breast awareness and feeding. Thanks to everyone that made the effort and brought their finished items to the February 2016 meeting. The photos show what a great response we had. On Saturday 3rd October 2015, we will be organising a workshop at ﻿St. Anne's ﻿to help in the production of 100 Morsbags which will be given away to encourage recycling before the introduction of the charges for plastic bags in England. This is just one of the initiatives we have chosen to commemorate our 100th Anniversary. 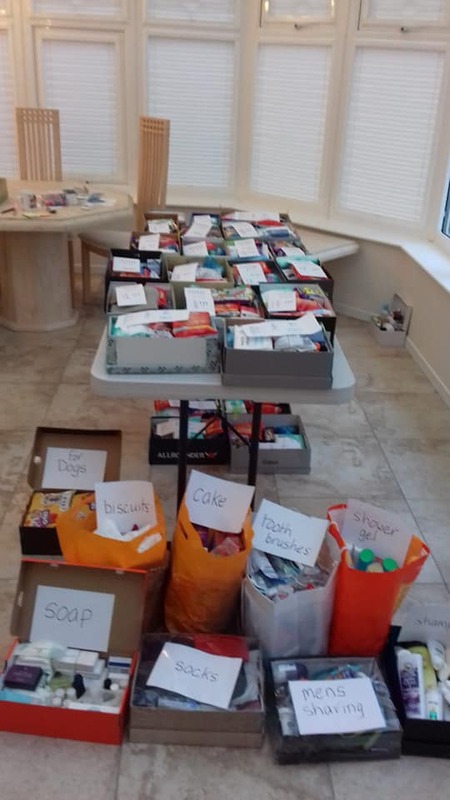 We are delighted to report that 102 items of Sanitary products were collected at the September meeting. These will be donated to homeless and women in crisis in the Manchester Area and will be donated to Coffee 4 Craig, the Pankhurst Centre and Life Share. Thanks to everyone for their generosity. CENTENARY GARDEN - 120 SPRING BULBS NOW PLANTED! Why not have a stroll to look at our Centenary Garden, officially opened on September 16th 2015 to mark our 100th Anniversary! It now has a selection of pollinator friendly perennials, four fruit bushes and a family apple tree and a commemorative plaque. This is situated at the corner of Arlington Way and Moor Lane and we are working with Incredible Edible Wilmslow to maintain this permanent bed which will also incorporate a Centennial rose bush later in the year. There will be lots of opportunities in the future to get your gardening gloves on and give a hand. Please let Jennie Palin know when you are intending to do something so that she can show you where the bulbs are already planted and co-ordinate weeding and tidying. 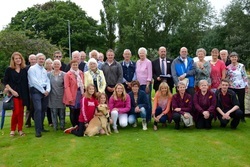 The creation of this Garden has helped Wilmslow in Bloom to retain it's Gold Award status and a discretionary award of "Best Community Effort" this year. Wilmslow Wells for Africa is a charity that works to provide wells, pumps, dams and water collection equipment in drought-stricken areas of Africa. They held a Souperday on Saturday 14th March, at Wilmslow Methodist Church and raised £1,500 for this cause. Home made soups and bread were sold for lunch plus there were stalls selling Cakes, Home Produce and Good-as-New. We were delighted that 11 of our members donated home made cakes to be sold on the day which helped towards raising such an impressive amount of money. Members were asked to bring donations of non-perishable food items to the March 2015 meeting and a huge quantity of items were generously given. We are currently collecting unwanted bras to send to Africa. The ownership of a bra is a great status symbol in some parts of Africa and many women simply can't afford to buy one. All bras collected are sent to 'Against Breast Cancer' and BCR Global Textiles are donating £1,000 to research funds for every tonne or 9,000 bras collected. We will be continuing our collection for the next few months so please remember to bring along your unwanted bras to the monthly meeting and pop it in the Bra Bank. We have collected almost 400 bras so far, so please keep collecting! !